Check out these great Juno Beach real estate listings or scroll down to read about Juno Beach, view demographics and learn about Juno Beach schools. Call (561) 322-3330 to speak to a Juno Beach realtor now! Check out the latest Juno Beach statistics available, including crime rates, cost comparisons and population growth. Call (561) 322-3330 to speak to a Juno Beach realtor and specialist now. Juno Beach is in Palm Beach County. It boarders the Atlantic Ocean on the east. It boarders Jupiter on the north and west and Palm Beach Gardens on the south and west. It is also north of North Palm Beach. 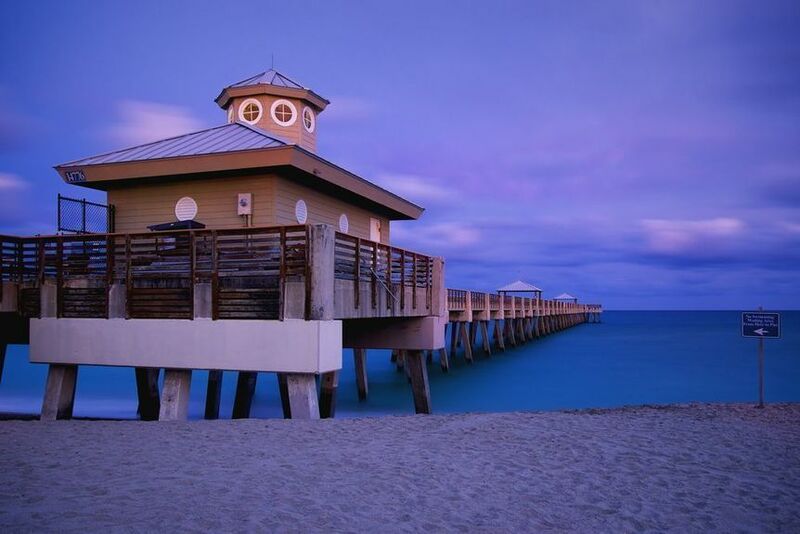 Juno Beach consists of 1.9 square miles, of which 1.4 square miles are land and .5 are water. It is located on a barrier island that was created by the dredging of the Intercoastal Waterway along old Lake Worth creek in 1898. Offshore lie ancient Spanish ship wrecks which are popular sites for diving and the pier is a popular site for residents and visitors. It is home to the headquarters of Florida Power & Light (FPL), one of the two largest power companies in Florida. It is also home to the Loggerhead Marinelife Center at Loggerhead Park, Seminole Golf Club and Juno Dunes Natural Area. Nearby attractions include the Gardens Mall, Frenchman's Forest Natural Area and the Jupiter Theatre. It has an oceanfront bike path and wonderful water views. It is less than 20 miles from the Palm Beach International Airport and near many shops, restaurants and golf courses. It was once the county seat for the then Dade County. It was named after the Roman goddess Juno, which was its original name until taking on its current name in the 20th century. It was incorporated in 1953. It is beautiful place to visit and a great place to live. Call (561) 322-3330 to speak to a Juno Beach realtor and specialist about Juno Beach homes for sale, commercial and investment property, Juno Beach real estate and rental apartments or scroll down to learn about Juno Beach schools, statistics and demographics. Use the links below to explore Juno Beach homes for sale and real estate in these great Juno Beach communities or call (561) 322-3330 to speak with an Juno Beach realtor. Our professional RE/MAX realtors are standing by waiting to help you now. Use the links above to view homes for sale in these Juno Beach communities or call (561) 322-3330 to speak with a Juno Beach realtor and specialist. A professional RE/MAX realtor is standing by waiting to help you. Learn more about Juno Beach schools, complete with school ratings and contact information.